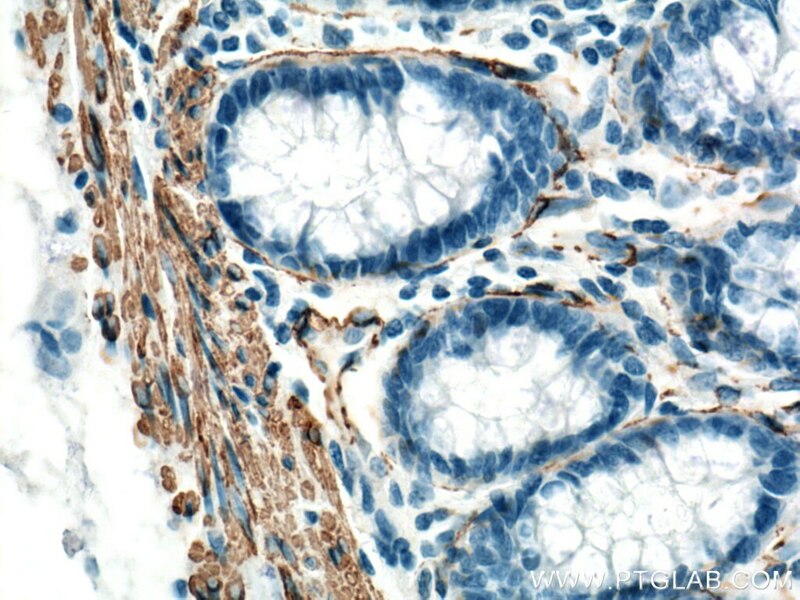 Immunohistochemical analysis of paraffin-embedded human colon tissue slide using 23081-1-AP (ACTA2/smooth muscle actin antibody) at dilution of 1:6400 (under 10x lens) heat mediated antigen retrieved with Tris-EDTA buffer(pH9). 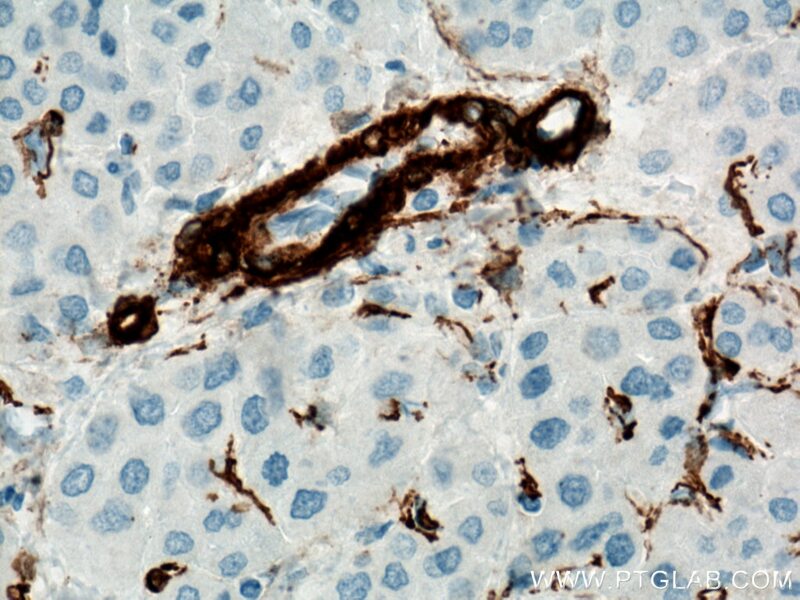 Immunohistochemical analysis of paraffin-embedded human liver cancer tissue slide using 23081-1-AP (ACTA2/smooth muscle actin antibody) at dilution of 1:3200 (under 10x lens) heat mediated antigen retrieved with Tris-EDTA buffer(pH9). 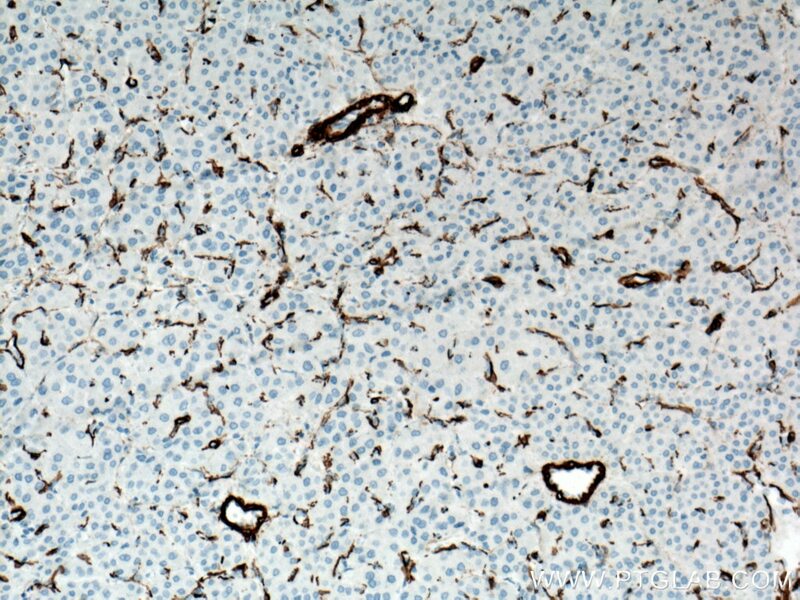 IP Result of anti-a-SMA specific (IP:23081-1-AP, 4ug; Detection:23081-1-AP 1:1000) with mouse heart tissue lysate 3200ug. 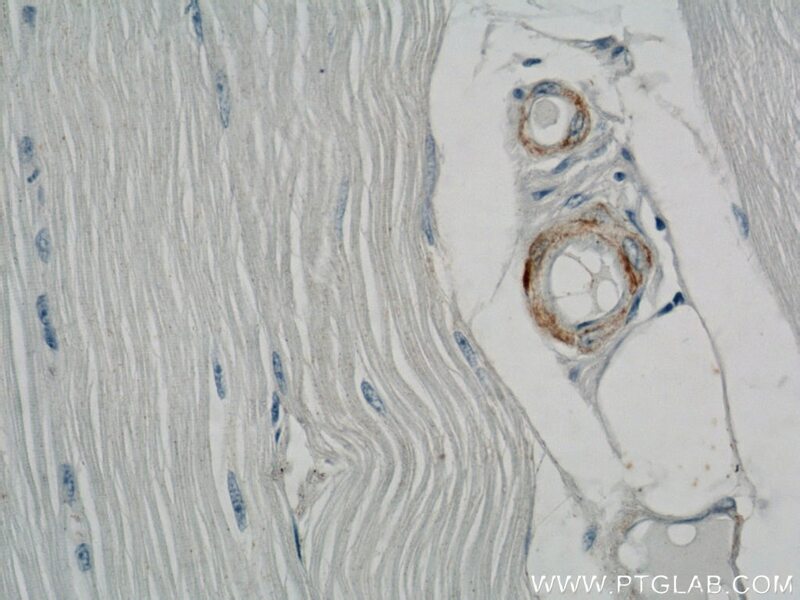 ACTA2 (also known as α-smooth muscle actin or α-SMA) belongs to the actin family. Actins are highly conserved proteins that are involved in various types of cell motility and are ubiquitously expressed in all eukaryotic cells. 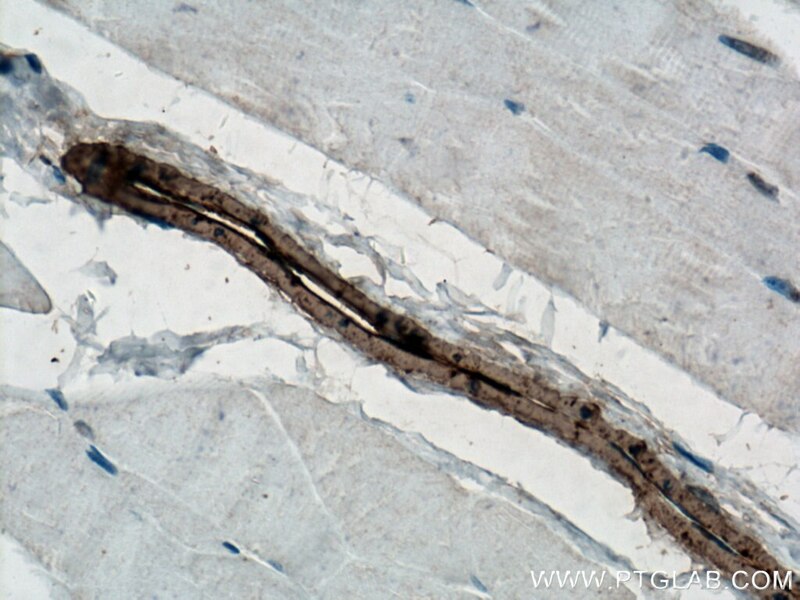 ACTA2 is primarily expressed in vascular smooth muscle and anti-ACTA2 is commonly used to marker smooth muscle cells. 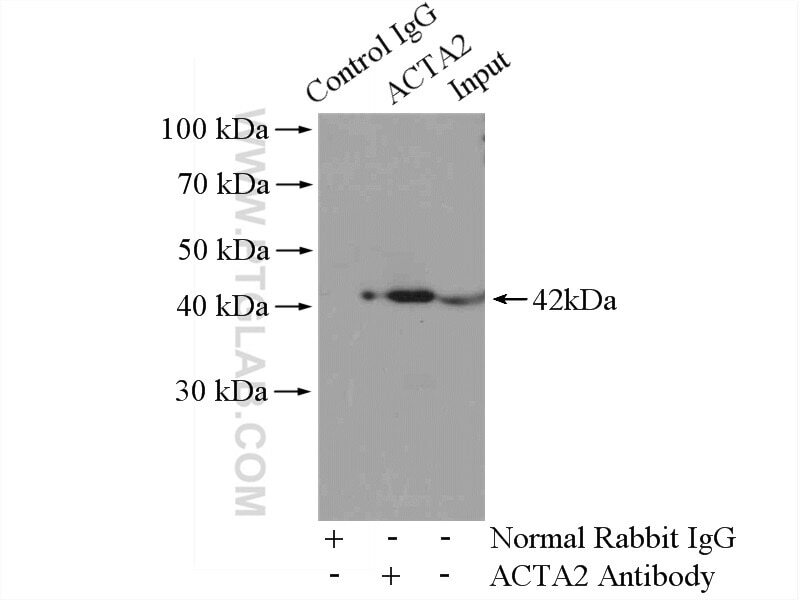 This antibody is specific to the ACTA2. 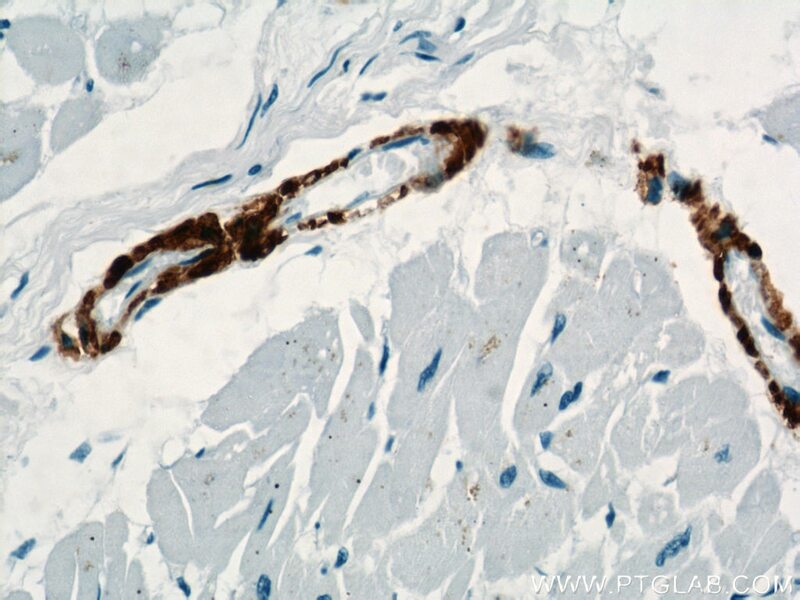 It selectively stains the vascular smooth muscle but not cardiac or skeletal muscle. The phosphodiesterase-5 inhibitor vardenafil reduces oxidative stress while reversing pulmonary arterial hypertension. Musashi2 predicts poor prognosis and invasion in hepatocellular carcinoma by driving epithelial-mesenchymal transition. 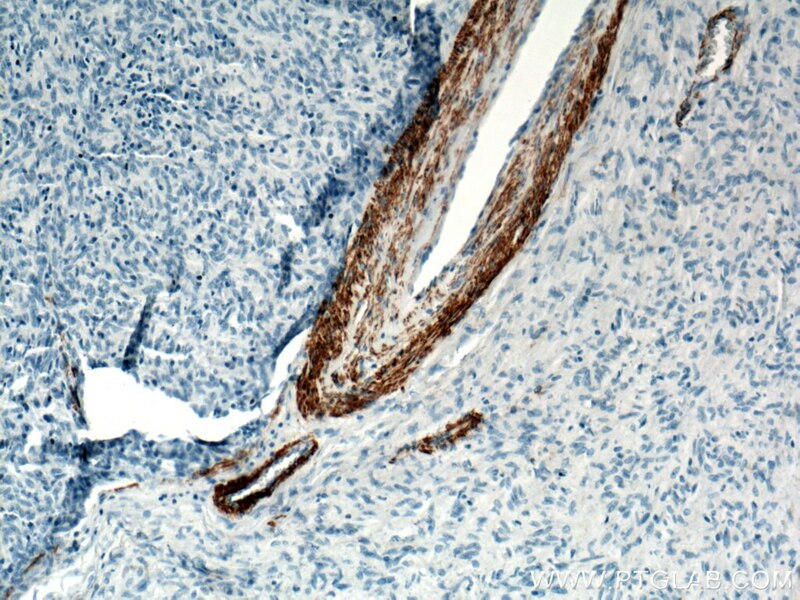 Effect of the vascular endothelial growth factor expression level on angiopoietin-2-mediated nasopharyngeal carcinoma growth. Inhibitory effects of long noncoding RNA MEG3 on hepatic stellate cells activation and liver fibrogenesis. 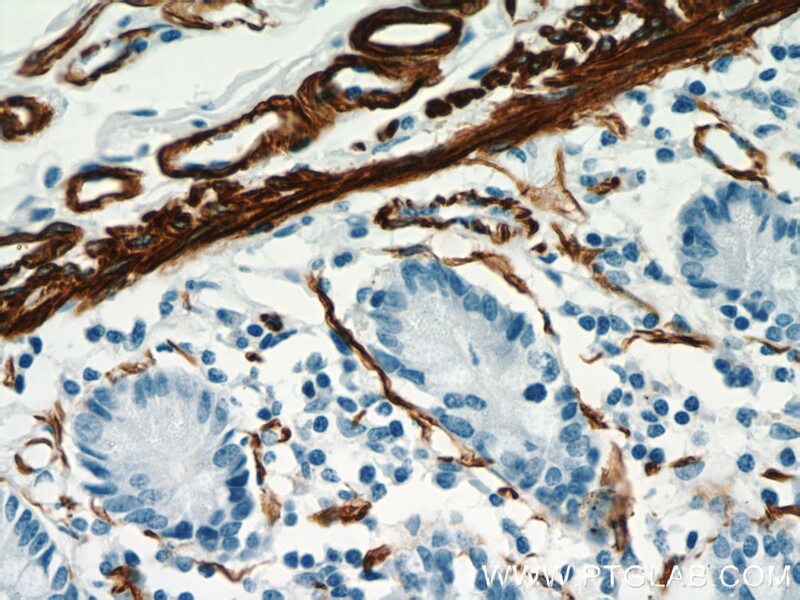 The anti-fibrotic effects of microRNA-153 by targeting TGFBR-2 in pulmonary fibrosis. Carnosol-mediated Sirtuin 1 activation inhibits enhancer of Zeste Homolog 2 to attenuate liver fibrosis. 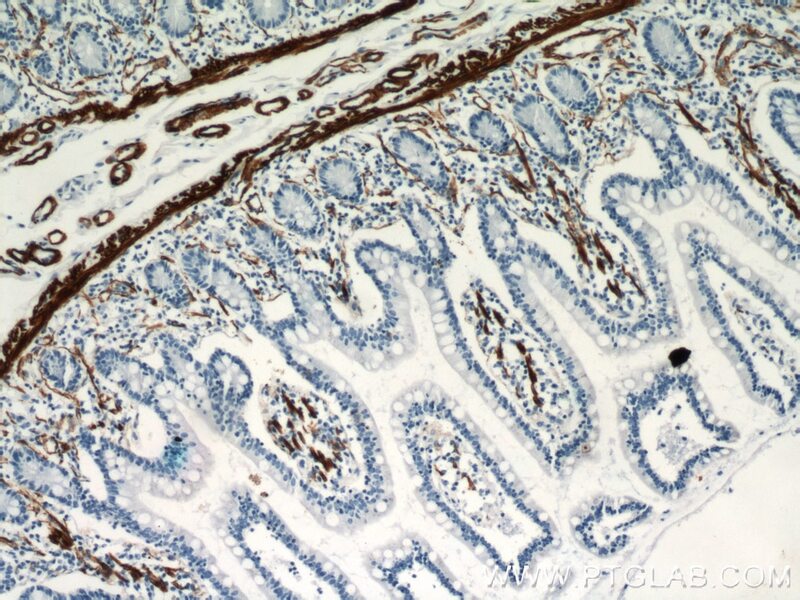 Immunohistochemical analysis of paraffin-embedded human colon tissue slide using 23081-1-AP (ACTA2/smooth muscle actin antibody) at dilution of 1:6400 (under 40x lens) heat mediated antigen retrieved with Tris-EDTA buffer(pH9). 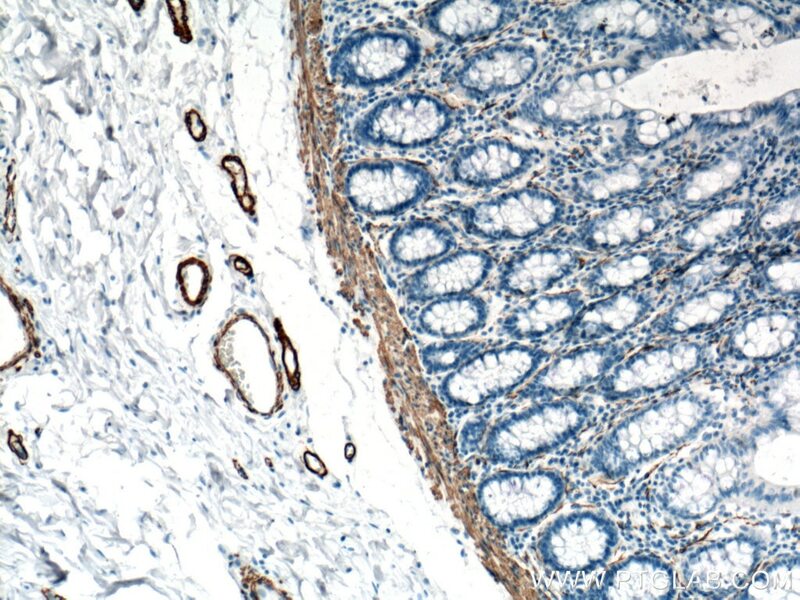 Immunohistochemical analysis of paraffin-embedded human hysteromyoma tissue slide using 23081-1-AP (ACTA2/smooth muscle actin antibody) at dilution of 1:3200 (under 10x lens) heat mediated antigen retrieved with Tris-EDTA buffer(pH9). 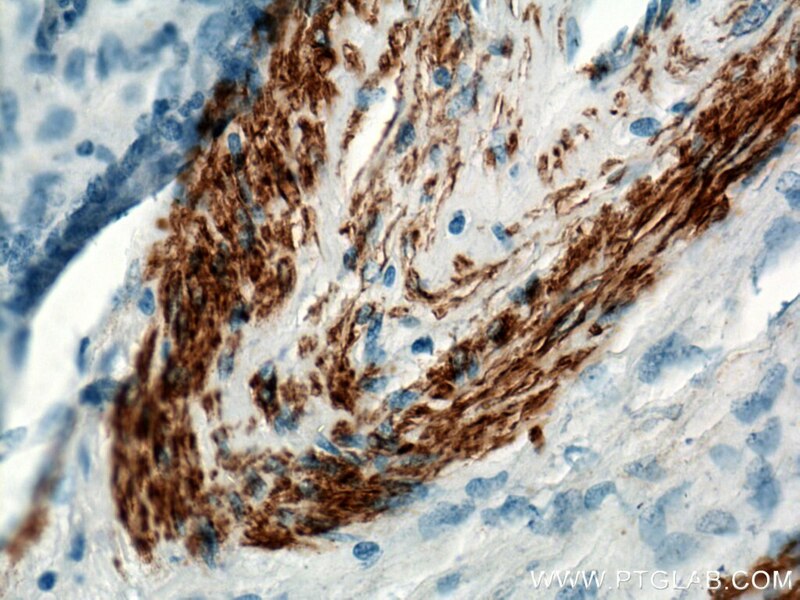 Immunohistochemical analysis of paraffin-embedded human hysteromyoma tissue slide using 23081-1-AP (ACTA2/smooth muscle actin antibody) at dilution of 1:3200 (under 40x lens) heat mediated antigen retrieved with Tris-EDTA buffer(pH9). 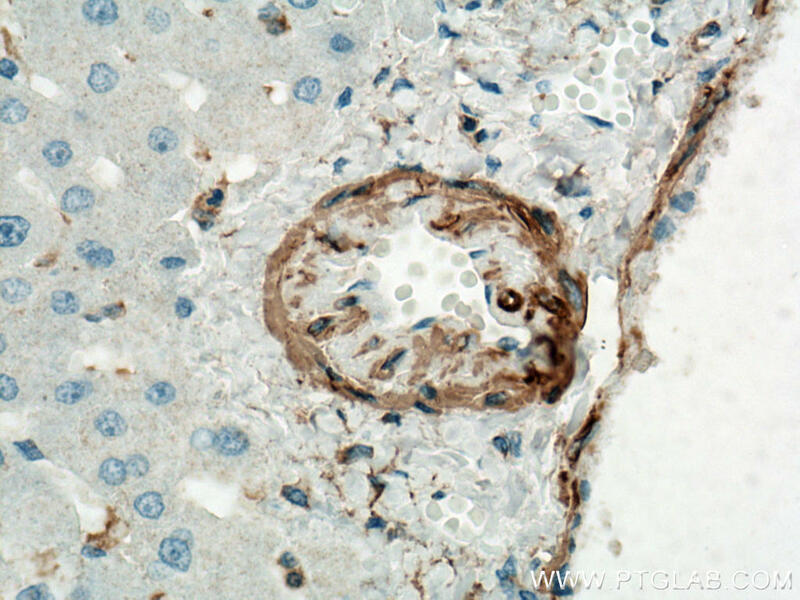 Immunohistochemical analysis of paraffin-embedded human liver cancer tissue slide using 23081-1-AP (ACTA2/smooth muscle actin antibody) at dilution of 1:3200 (under 40x lens) heat mediated antigen retrieved with Tris-EDTA buffer(pH9). 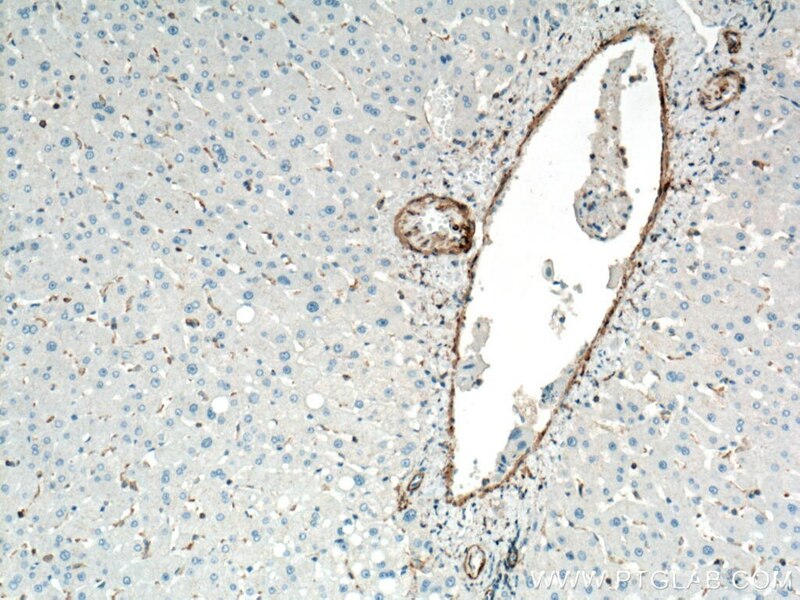 Immunohistochemical analysis of paraffin-embedded human liver tissue slide using 23081-1-AP (ACTA2/smooth muscle actin antibody) at dilution of 1:2000 (under 10x lens) heat mediated antigen retrieved with Tris-EDTA buffer(pH9). 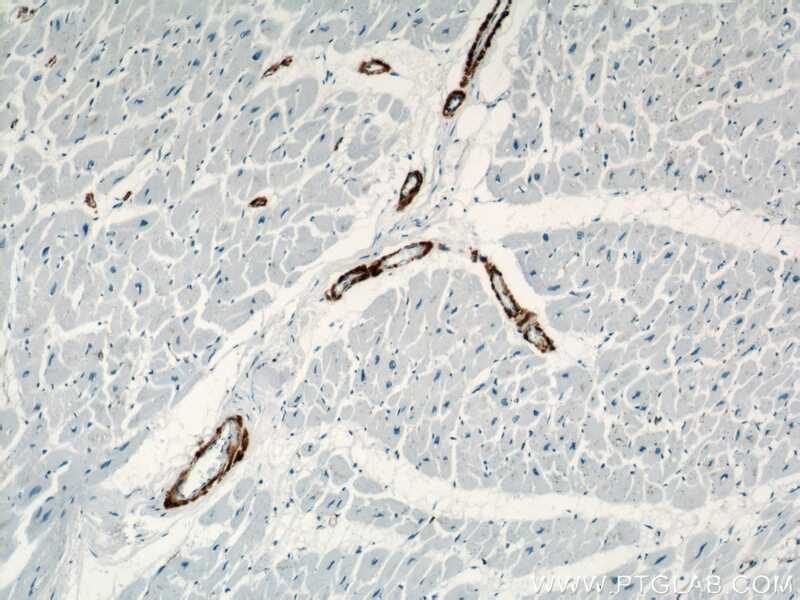 Immunohistochemical analysis of paraffin-embedded human liver tissue slide using 23081-1-AP (ACTA2/smooth muscle actin antibody) at dilution of 1:2000 (under 40x lens) heat mediated antigen retrieved with Tris-EDTA buffer(pH9). 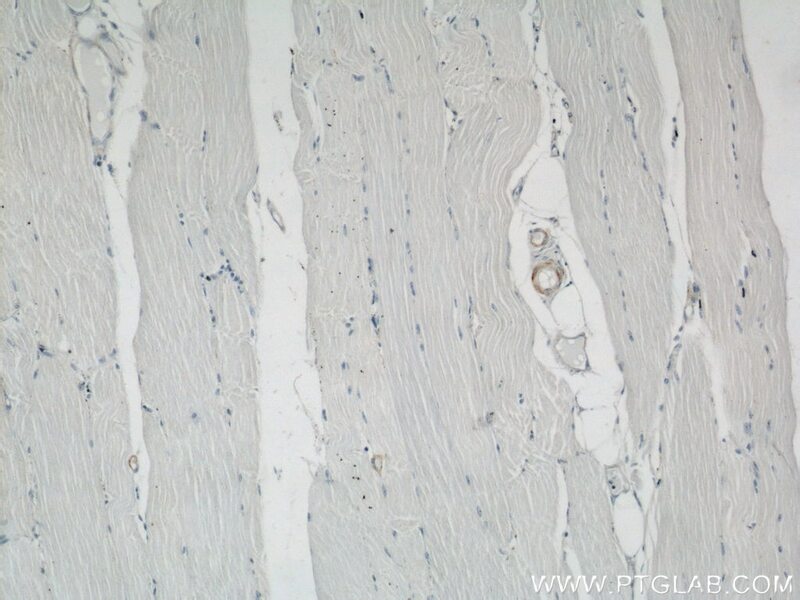 Immunohistochemical analysis of paraffin-embedded mouse skeletal muscle tissue slide using 23081-1-AP (ACTA2/smooth muscle actin antibody) at dilution of 1:200 (under 10x lens) heat mediated antigen retrieved with Tris-EDTA buffer(pH9). 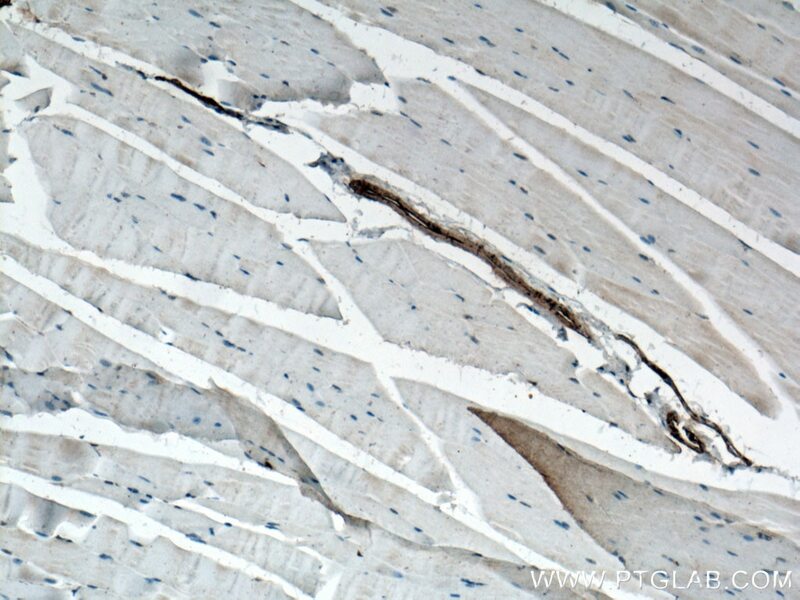 Immunohistochemical analysis of paraffin-embedded mouse skeletal muscle tissue slide using 23081-1-AP (ACTA2/smooth muscle actin antibody) at dilution of 1:200 (under 40x lens) heat mediated antigen retrieved with Tris-EDTA buffer(pH9). 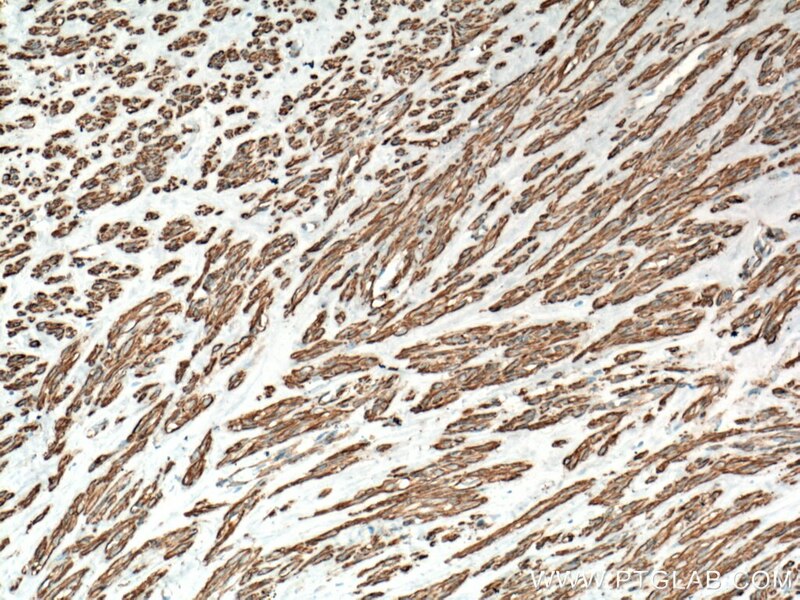 Immunohistochemical analysis of paraffin-embedded stromal tumor tissue slide using 23081-1-AP (ACTA2/smooth muscle actin antibody) at dilution of 1:3200 (under 10x lens). 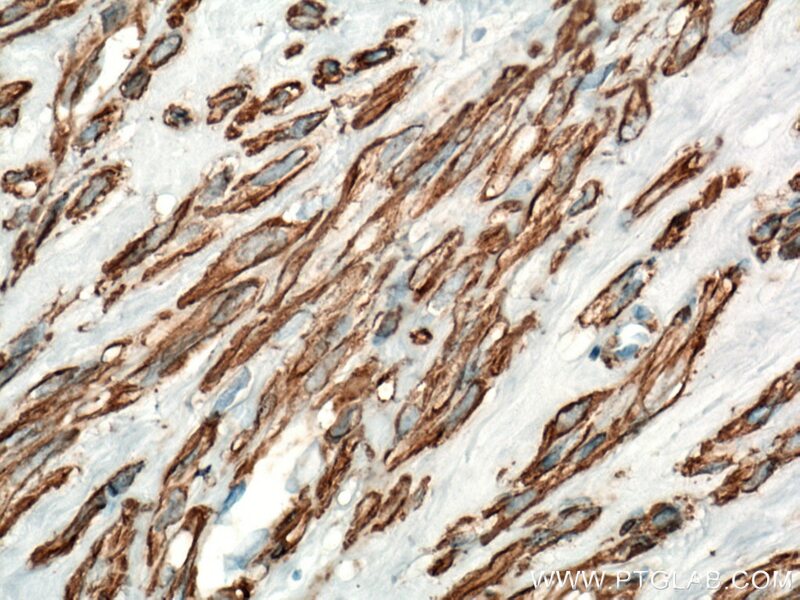 Immunohistochemical analysis of paraffin-embedded stromal tumor tissue slide using 23081-1-AP (ACTA2/smooth muscle actin antibody) at dilution of 1:3200 (under 40x lens).